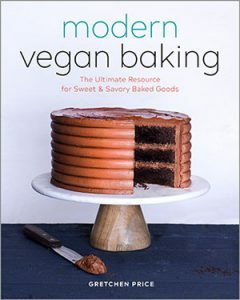 One of Gretchen’s Bakery all time favorites just got veganized! This is one heavy cake though, I will warn you! And I’m talking weight-wise since it is packed with apples and caramel, caramel buttercream and more caramel sauce! This is a pretty big building on recipes project though, so just be sure to organize yourself before you begin and it will not be a difficult task. And the caramel sauce as I show in the video below. Now I know many of you have had trouble with Caramel Sauce in the past, so I want to give you some options to make it easier. Sometimes you just have to find the right recipe that works for you. Or just follow this new recipe for caramel sauce as listed below and I show you how to make it in the video below as well. In a large mixing bowl combine both sugars with the salt, oil and vanilla & whisk smooth. Add the shredded apples and mix well. Pour batter into prepared cake pans and bake immediately in preheated 350° F oven. Cake layers will take approximately 25 -35 minutes. Check out UNTIL ITS DONE for more clarity on baking times. The entire assembled cake can stay at room temperature for up to 1 day, but will most likely need refrigeration for longer storage (up to 10 days) so it doesn't get too soft. Nothing will go bad, so refrigeration is not completely necessary. 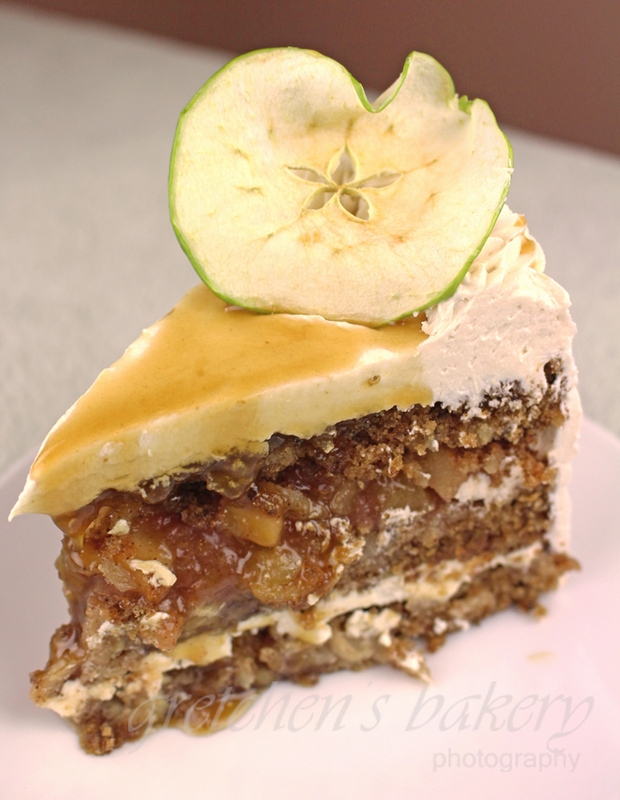 Jut what I was dreaming of or actually has been spinning in my head – was looking for a cake that combines apples and caramel not with the classic pie crust but with cake and buttercream to form an elegant cake. Hmmmmm. Looking forward to making it. You are amazing ..I like your sweets. Hola! Great! Hopefully you can translate the recipe and follow along! Hi Gretchen! Cannot find flax seeds, Soo.. 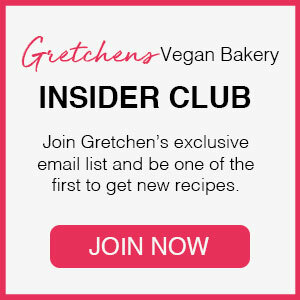 I would like to know if I should use the same amount of chia seeds instead of flax seeds? i adore this cake, I made it for my birthday and everybody loved it! awesome thanks for the feedback!! Hello Gretchen. I just made the caramel sauce. And it has a gritty sugary feel to it. I’m thinking maybe I used a cheap pot and that can be why? Awesome! I didn’t stir but I did jiggle the pot by the handle a few times. Not giving up, gonna give it another try! Yes I have made those brownies many many times, changing out peanuts for pecans sometimes. They are bomb! I wanted to make this apple cake one just to try a new one 🙂 thank you for your responses! I am one of those that followed you when you owned the bakery. I asked one time if you could create caramel pie. That dry method caramel is just the flavor needed. Can you create that into a cream pie? Hi! Thanks! I am so happy you tried it! With grand results too! awesome!! I have made a caramel cream pie, I should put that on the To-Do list! Thanks for the remind!